Short-form content is an exciting new modality for learners. For the instructional designers in charge of creating and delivering all those new short-form assets, though, it can be a big new challenge. Here are a few tips for handling content curation in blended learning. When building a blended learning environment, your first step should be to review what content already exists. So many companies have vast content and knowledge repositories (think Sharepoint sites) that everyone knows about — but, honestly, you probably don’t know exactly what’s in there. Dig in! There are often great gems in these sites. Identify and harvest those pieces first before you build any new content. The purpose of curation is elevate existing information in new and engaging ways. Use a variety sources and pick liberally from a different content types such as videos, podcasts, wordclouds, articles, case studies, infographics, images, and selections of text. This not only allows you to quickly share something in its native format (say a YouTube video) but variety also makes learning more fun and interesting for the learner. Curation is, at its core, about personalization. We like to think of it as a present for the learner: “I found this cool thing for you—I hope you like it as much as I do.” Through personalization you can add your voice to the bigger conversation or experience, and help provide that important context that gets learner’s engaged and excited. Personalizing also demonstrates effort, and shows that someone is listening and cares – which goes a long way to making online learning more engaging. Leverage existing content, use a variety of media, and personalize it — these three tips should get you started! Manjit shared some tips on dealing with the potential cognitive overload designers now face in her article “Bite-Size Learning Turns Less Into More” (including “Curating before Creating”). Nicole hosted a "Five Secrets of Killer Content Development" webinar, which is available for download. And check out Intrepid's ebook Fresh Learning: Modern Learning Trends & Strategies too. 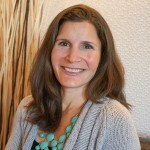 Nicole Bunselmeyer has been involved with business development and corporate training for more than 17 years. 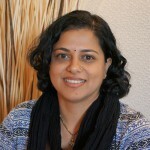 She is a principal consultant of learning experience design for Intrepid Learning. Manjit Sekhon is the director of design and development at Intrepid Learning. She has been in the field of learning design and delivery since 1999.